Wild Wadi is a fully themed Arabic water park which, when completed in 1999, had some of the most technically advanced rides in the world. Its 24 exhilarating rides and water features, which occupy a 3ha landscaped garden within the Jumeirah Beach Resort Development, are designed to give guests an experience of a lifetime in a world away from reality. 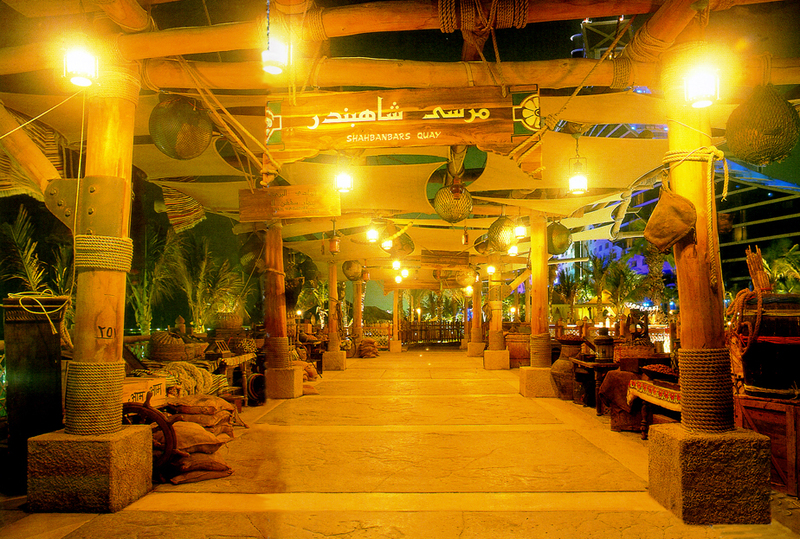 The design evolved from the ground up in a fantasy Arabian theme based around a flash flooding wadi (dry river creek) and how the local inhabitants harnessed the flooding water to create amazing water rides. Later in the design process the story was loosely woven into the adventures of Sinbad the Sailor. 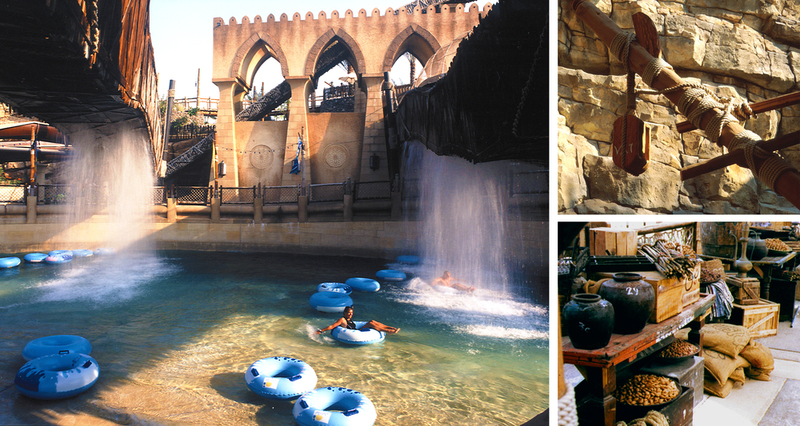 Wild Wadi was the first water park in the world to link uphill roller coaster rides with down hill rides in a 2.4 km long multi route circuit allowing the guest to stay in the water between rides without queuing. In its first year the park won the World Water Park Association’s Industry Innovation Award for outstanding design and theme.